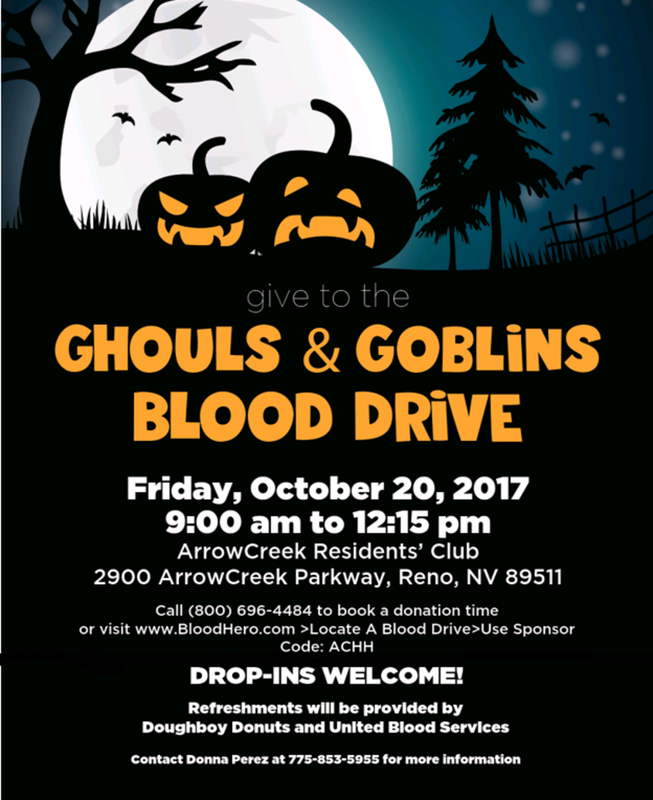 Ghouls and Goblins Blood Drive. at the ArrowCreek Residents’ Club. or call (800) 696-4484 to book a donation time, or visit www.BloodHero.com Use SponsorCode: ACHH. Contact Donna Perez, 853-5955 with any questions. This entry was posted in ArrowCreek Community Blood Drive and tagged AC411, ArrowCreek 411, ArrowCreek Blood Drive, ArrowCreek Community Blood Drive, ArrowCreek411. Bookmark the permalink.